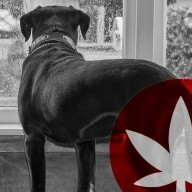 Blog What Is CBD And How Could It Work For My Pet? Cannabis is proving to be a highly effective herbal supplement, and science has revealed that it is loaded with beneficial cannabinoids, terpenes, and other molecules that can help to relieve a wide array of human health conditions. But the use of cannabinoids may not be limited to our species alone. Many animals also share the same internal physiological system, the endocannabinoid system (ECS), that enables cannabinoids to present such therapeutic applications. 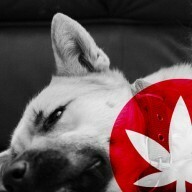 And before we delve into this, this doesn’t mean getting your pet stoned. Sure, the psychoactive cannabinoid THC does have its own benefits, but that isn’t the molecule in question here. 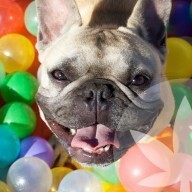 CBD, a non-psychoactive cannabinoid, also features a whole host of medicinal uses, and may be of great use for pets—without getting them high in the process. CBD is one of what is believed to be over 113 cannabinoids produced by the cannabis plant. CBD is becoming more well-researched and has skyrocketed in popularity over the last few years as a non-psychoactive, medicinal cannabinoid. Research has shown the vast scope of CBD’s potential in treating conditions such as arthritis, diabetes, alcoholism, MS, chronic pain, schizophrenia, PTSD, depression, antibiotic-resistant infection, epilepsy, neurological conditions, inflammation, pain, anxiety, and psychosis. One particular area that CBD has shown great promise in is oxidative stress and inflammation. Oxidative stress can be caused by reactive oxygen species, or free radicals, that lend to organ damage and dysfunction. Antioxidants are known for their ability to bind to these free radicals and neutralise them, helping to prevent DNA damage. CBD is being explored for its potential as an anti-inflammatory by interacting with the endocannabinoid system and possibly reducing oxidative stress. The cannabinoid is known to have a possible therapeutic effect in conditions that involve the action of the immune system and associated oxidative stress, such as Alzheimer's disease, hypertension, and pain. Cannabinoids work in a very specific way within the body, in part due to their extreme molecular similarity with compounds that are made within the body known as endocannabinoids. Cannabinoids, such and THC and CBD, interact with receptor sites that comprise the endocannabinoid system. Different cannabinoids interact with different receptor sites, catalysing different effects. CBD is known to affect CB1 and CB2 receptor sites, but not in a direct fashion. Instead, CBD has been shown to activate cannabinoid receptors indirectly via anandamide and vanilloid receptors. The cannabinoid has also been shown to activate adenosine receptors, serotonin receptors, and the capsaicin receptor. As CBD is digested and metabolised by the body, it breaks down into a fatty acid amide hydrolase (FAAH) inhibitor. The inhibition of this enzyme is known to lead to disruption of the CB1 receptors, which is how CBD can counteract the psychoactive high caused by THC. 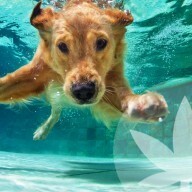 Much of the scientific research revolving around the cannabinoid CBD has been conducted on animals as opposed to humans. This makes it likely that the therapeutic effects of CBD may be able to contribute to the health, wellbeing, and even treatment of pets. This is primarily because many different animals share the same endocannabinoid systems as us humans, meaning that cannabinoids such as CBD work within them in much the same way as they do with us. Many families view their pets as family members, and get very concerned and worried when they are diagnosed with an illness or health condition of some kind. Many conventional medicines exist for pets, but owners may want to employ the use of CBD when it comes to prevention of disease and the easing of symptoms. 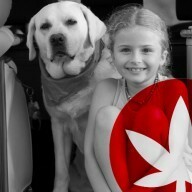 CBD is known to work well in pets for conditions such as pain, anxiety, digestive issues, nausea, and inflammation. 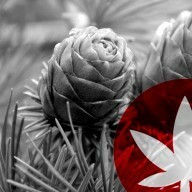 The cannabinoid may also contribute towards heart and nervous system health.